Inside Wilmington Square Gardens (south-east side). LONG RESIDENT IN THE PARISH. This is not an MDFCTA fountain and has been included for completeness only. 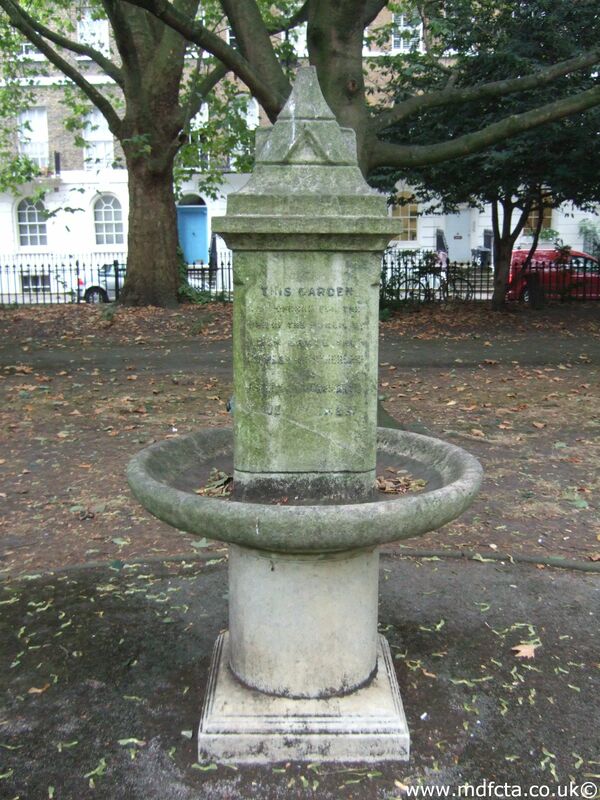 This drinking fountain is almost identical to another in Northampton Square Gardens.